Silky Oak Tea Gardens, Kia Ora will host their inaugural Beer Festival across the weekend of September 8 and 9. 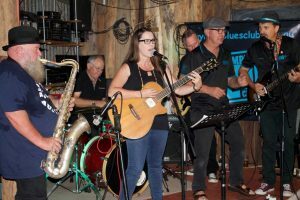 As part of this fantastic local event, the Gympie Blues Club will perform on Saturday evening, September 8. Six to eight bands will perform a range of instrumental and vocal hits from 7pm. Book a table to enjoy an evening of blues, great food and preservative-free, delicious beer and cider, brewed on premise! For more information or to book your place, call Daryl and Helen on 5486 5535.